The Perseid meteor shower is set to light up the night sky late Wednesday, an event that could even be more dazzling due to the presence of a new moon. Always a highlight of the stargazing calendar, the Perseid meteor shower is active each year from around July 17 to Aug. 24, although for most of that period only a few meteors an hour will be visible. For the first time since 2007, this peak coincides with a new moon on Aug. 14, creating what are considered the ideal dark sky conditions for meteor spotting. 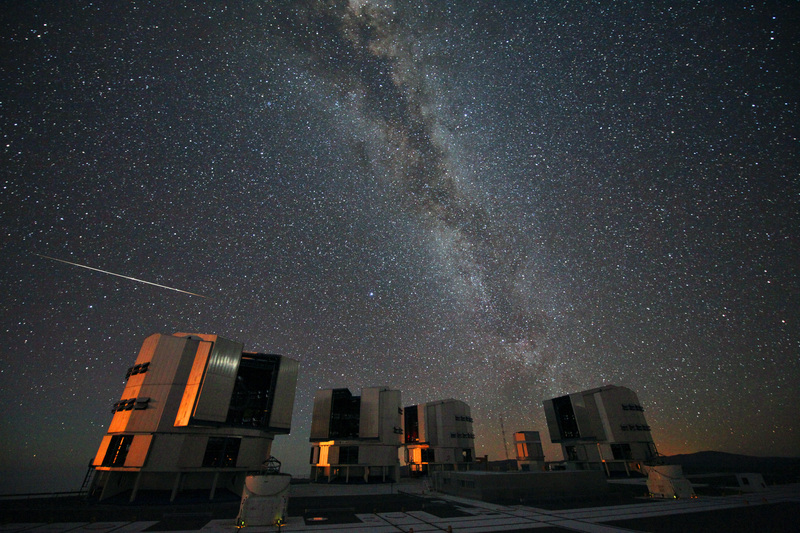 "The Perseid meteor shower is one of the best and most reliable meteor showers of the year," Mark Bailey, Director of Armagh Observatory, said. For most backyard stargazers, the meteor showers should be observable with the naked eye. Although the number of visible meteors is hard to predict accurately, at least one every few minutes appearing as a fleeting streak of light can be expected and the numbers could increase to a hundred an hour or more depending on where you are watching. "Relax, be patient, and let your eyes adapt to the dark," J. Kelly Beatty, a senior editor at Sky & Telescope magazine, said. "With a little luck, you'll see a shooting star every minute or so on average." More commonly known as shooting stars, meteors are the result of small particles, some as small as a grain of sand, entering the Earth's atmosphere at high speed. The Perseid shower takes place as the Earth moves through the stream of debris left behind by Comet Swift-Tuttle, which last passed near the Earth in 1992. On entering the atmosphere, these particles heat the air around them, causing the characteristic streak of light seen from the ground. This shower of meteors appears to originate from a single point, called a radiant, in the constellation of Perseus, hence the name. The higher the radiant, the more meteors you'll see. But when the shower's radiant is still low above the horizon, the few Perseids that do appear will be spectacularly long "Earthgrazers" skimming far across the sky along the top of the atmosphere. Occasionally, stargazers might spot an interloper. The weaker Delta Aquariid and Kappa Cygnid showers are also active during Perseid season, and there are always a few random, "sporadic" meteors.